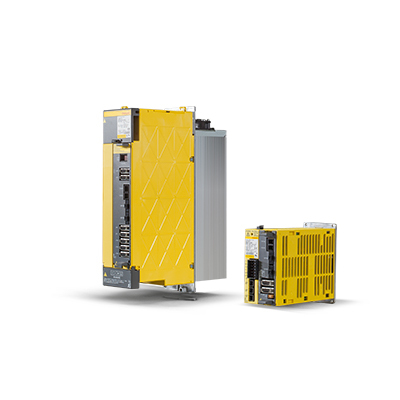 FANUC offers the widest range of purpose-built drive systems on the market, with all sizes of servo and spindle motors consolidated into high-performance packages with perfectly matching amplifiers. Whatever your needs, at FANUC you’ll always find the optimal system to deliver perfect results, outstanding performance and high-quality workpiece surfaces. 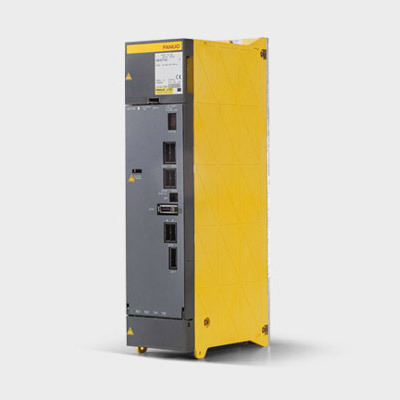 If a power outage occurs, Power Failure Backup Modules (PFBM) provide sufficient energy for a safe stop and/or retraction of the spindle and servo axes. This prevents damage to tooling, the machine as well as to workpieces. Features include gravity-axis drop prevention, stop distance reduction, retraction (maintaining axis synchronisation) and prevention of spindle free-run. Suitable for large machines equipped with large servomotors, e.g. press machines that generate power peaks during acceleration and deceleration. Energy Charge Module reduces this peak of electrical power consumption and minimises the voltage fluctuation of electrical facilities. Energy released during deceleration can be stored in capacitor modules and used for acceleration. This ensures the electric power consumption can be balanced effectively. 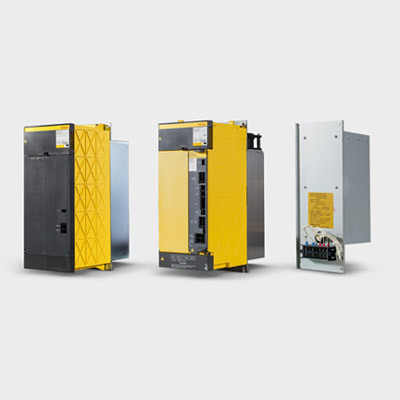 FANUC's Energy Charge Module (ECM) is a smart function for storing and utilising regenerative energy in situations where there is insufficient peak capacity to supply large servomotors during acceleration. 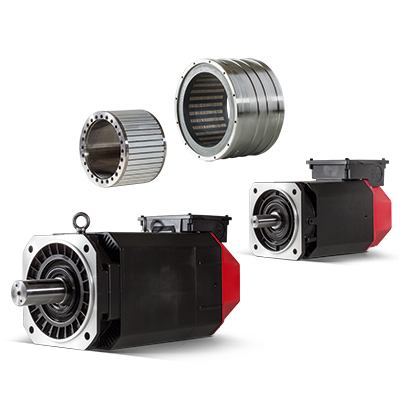 No matter what your manufacturing requirement (synchronous or asynchronous), FANUC’s extensive range of spindle and servo and torque motors provide the ideal mix of torque, acceleration, precision and power to perfectly meet your needs.